Dirty Little Secret is unlike any other book I have read. We learn about the nitty, gritty aspects of the music business and what some bands have to go through. This is my first Jennifer Echols book and I am so happy I started with this one. We start off with Bailey employed in the mall, playing her fiddle, impersonating deceased country stars. She has been in music festivals with her younger sister, Julie but Julie is the only one who gets signed with a record deal. Therefore, Bailey is left betrayed and sent to live with her grandfather. When Bailey meets Sam, there is an instant attraction. They are opposites of one another but both broken, so they understand each other really well. I really liked Bailey. I thought she was strong in the way she handled herself especially with her family. I mean, personally, if I lived, eat and breathed music growing up, I definitely would want to have a career in it no matter what. Bailey is also fiercely loyal to her sister. She will do anything for her, even though she may feel hurt or jealous in the process. Sam, on the other hand, will do anything to get a record deal, anything; he has this persona about him that makes everyone like him, even with his ‘52 girlfriends’. For me, the beginning of this book was a little hard to get into but once I did, I really enjoyed it. 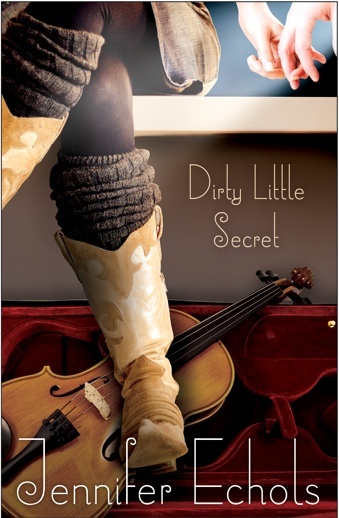 Dirty Little Secret is a must read for anyone who likes to read contemporary romance based on the music industry. 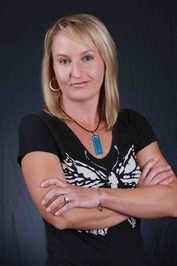 I look forward to my next read by Jennifer Echols. I am not sure why I waited so long. "If I expected nothing, I was never disappointed. But as he moved toward me, there was a point when our eyes locked. He looked so sincere that in that moment, I believed him. I believed in him. I believed anything he wanted to tell me." ""Let me kiss you just this once," he said. Just this once was a refrain with him. He was the devil in disguise, the handsome but low-down, no-good sneaky guy from a thousand country songstresses' revenge plots." "You wear your heart on your sleeve."